A National Guard helicopter flies by the Campanile on the U.C. Berkeley campus spraying tear gas on demonstrators in Sproul Plaza. 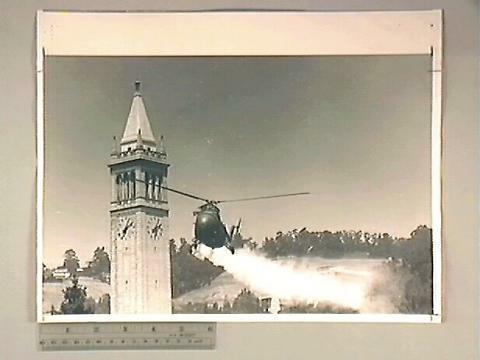 The National Guard had been ordered by Governor Ronald Reagan to break up the campus demonstrations sparked by controversy over People's Park.